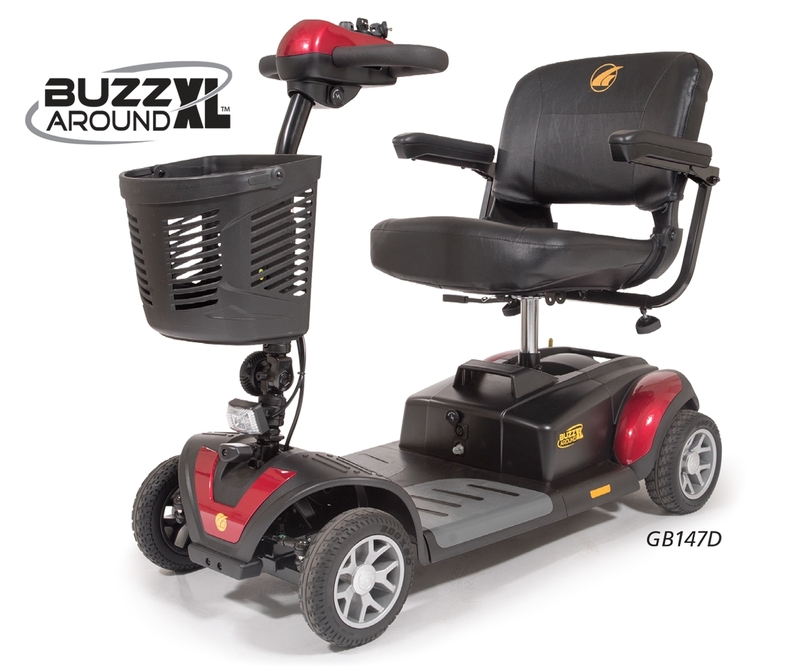 Experience the most comfortable scooter in the portable travel scooter category with the 2015 Buzzaround XL by Golden! Our oversized deck provides more foot and leg room than any scooter in its class, giving you more space to stretch your legs and have more room to comfortably get on and off your scooter with ease! The new Buzzaround XL scooters feature a bright, adjustable LED headlight so you can see and be seen! 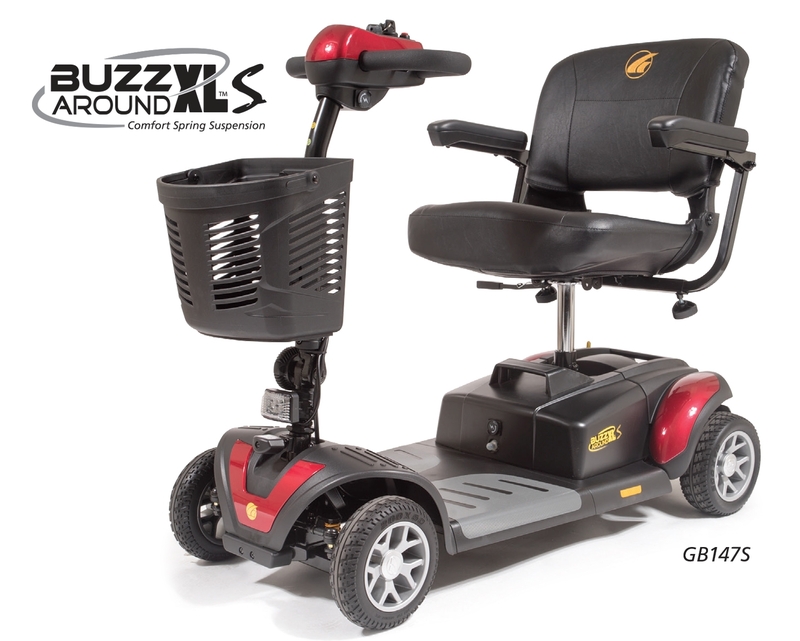 When you’re ready to head home after a day on the town, the Buzzaround XL disassembles quickly, easily and wirelessly to fit in the trunk of virtually any car. 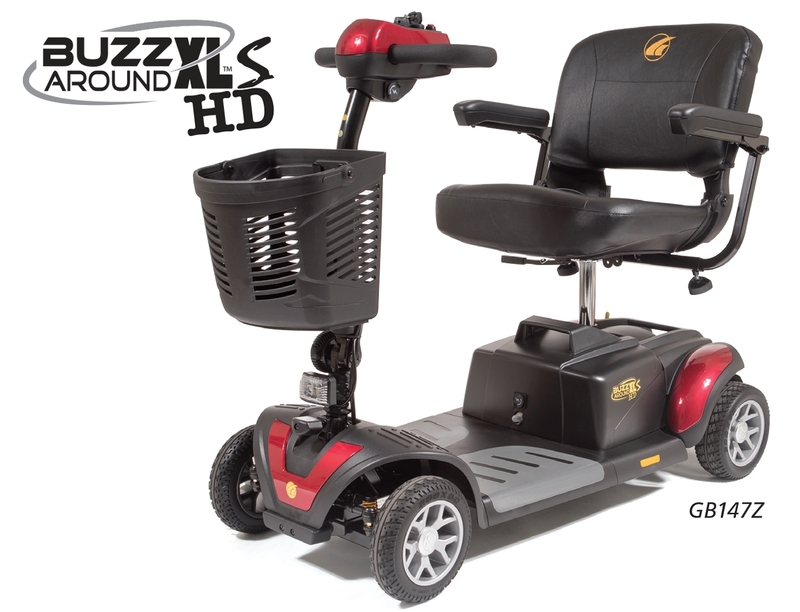 There’s no better way to see the sites, spend time with the family or simply go shopping than with the all-new Golden Buzzaround XL scooters! • Increased weight capacities up to 325 lbs. • Increased weight capacity up to 325 lbs. 1: FREE Shipping on equipment. 2: FREE in-home service warranty. 3: FREE lifetime phone support. 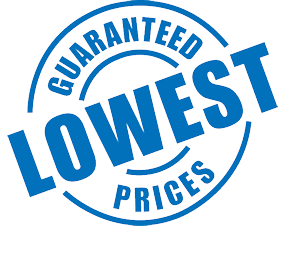 Copyright © 2008-2019 Mobile Mobility (585)678-1670. All rights reserved.